During a few years just after a war that closed out one era and opened up another, as new ways displaced old ones, a small outmoded farm north of Boston came to its end. 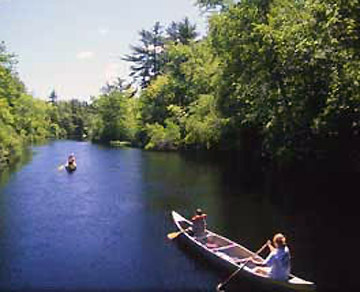 Such ends happened across New England countless times in those days. What makes this instance unusual are two of the central figures. Two sisters, who took over their father’s very typical family farm in 1916, were also teachers and principals in the Ipswich schools — with careers there that, by the end, came to almost a century of service between them. Through eight decades, the Sullivan farm in Ipswich, Massachusetts, practiced traditional small-scale mixed husbandry. By the middle years of the twentieth century though, that system and this farm had both outlasted their time. In those final years the lingering vestiges of a largely un-mechanized, almost pre-modern way of life, fell away scarcely noticed. This is a tale of several lives that finished with the farm. They were lives of small rewards, and occasional hardship, but they were full lives — sustained by a mix of resourcefulness and acceptance. And they were lives that revered the land they occupied. Sullivan’s Corner: Who Was There - A wire rack beside the front door of the newer house held two quart bottles of milk. The Hood man had taken back two empties and continued on his route. An aging refrigerator in the older house across the way contained a pitcher of milk that was actually fresher, and Frances could have had all she wanted of that, for free, if she were willing to forego the benefits of dairy processing and trust her family’s welfare to milk straight from the cow. Sullivan’s Corner: Saving the Barn - The barn had withstood decades of heavy use and hard exposure, but that winter was worse than any it had seen in many years. The gable roof had developed a sag at the ridge already, and that’s where it let go — caving in and exposing the haylofts and the cross-aisle between the horse stalls and the cow room. Luckily, the cows were still somewhat sheltered by the floor of the haymow above them, and could stay put, so the milk operation, at least, was able to continue. Sullivan’s Corner: Putting Hay In - Frank hadn’t set out to be a farmer. He grew up in a farming community in the neighboring town of Rowley — smaller, and more agrarian than Ipswich — but sometime after high school, he had gone to a two-year business college, and, following that, worked at a store in Ipswich. That’s where he and Nellie met. Following their marriage, Frank returned to a life that he knew very well. Sullivan’s Corner: The World Nearby - Looking around Ipswich in 1950 a visitor from the present would be hard pressed to know what decade it was. During this period right after the war the town was a place of almost indeterminate time. Sullivan’s Corner: The House on the Corner - During the first half of the century, and for another decade or two beyond, the junction of Mill Road with Topsfield Road was known all around as Sullivan’s Corner. In 1951, the post office needed nothing more than that to get mail to anyone at the farm — and much of what came was addressed that way. 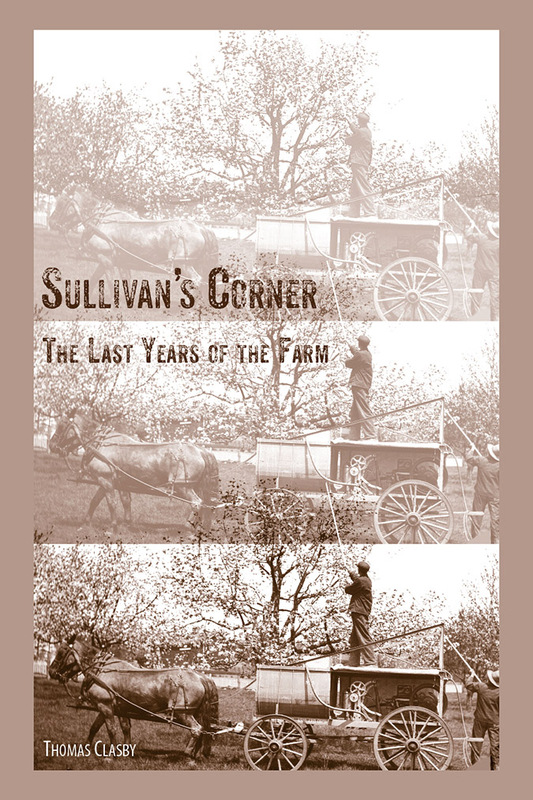 Sullivan’s Corner: The Cows - The day of farming at this scale, as an occupation, was coming to an end. And even if it were not, at there was a further element that outweighed anything else: the absence of someone to carry on, to take over from Frank. So, the departure of the last cows must have brought a tangled mix of feelings — relief and sadness, both. And finality. Sullivan’s Corner: The Stand - After four miles of narrow winding road since turning off Route 1, many would stop at the junction with Mill Road, and come to the house to ask if this was where they should turn for the beach. It was not. But, together, Frank and Harry hatched an idea and agreed to be partners in it. At this place where folks were inclined to pull off the road for help, the two of them would open a store. Sullivan’s Corner: The Land - Hard as it must have been selling the cows off, this was probably worse. Animals could be replaced, but the fields they were parting with contained all of the potential for any continuation of real farming. Still, Nellie was content. Frank was provided for. And, beyond her remaining property, the fields would continue to be open land, as she had always known them. And, she had held on to that part of the place which meant the most to her — something to leave behind as her legacy. Sullivan’s Corner: The Farm in Repose - In his youth, my father’s life was deeply affected by three remarkably caring women. First, Margaret MacRae, his mother’s sister, had held the Clasby family together after his mother’s death and throughout his father’s subsequent illness — and raised six children who were not her own. Then the Sullivan sisters took him in, restored his once diminished prospects, and helped with the passage to adult life. Sullivan’s Corner: What Remains - As more years pass, what little is left of the farm will decay further and fade away with the memories of one who wandered those fields and woods — memories so indelible, of such ordinary things, that they could only have formed during the years of childhood. This book is available at Conley’s Drug Store in Ipswich and Jabberwocky Bookshop in Newburyport. Text and illustrations Copyright © 2018 by Thomas Clasby. All rights reserved. Many thanks to Tom Clasby for this very enjoyable book, and for sharing the history of our Mill Road neighborhood.